Are you a writer in need of inspiration? 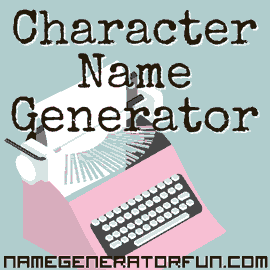 Can you not find the right name for your story's protagonist? Then the African American name generator is here to help! The naming traditions of African Americans were strongly influenced by the history of the slave trade. A massive proportion of the Africans who were sold into slavery during the seventeenth and eighteenth century were given Anglicized names that varied from ordinary (Tom or Dolly) to classical (Scipio or Pompey), with only a small number gaining enough the respect from their owners to be known by their original African name. After the Civil War of 1861–5, in the wake of their emancipation, ex-slaves were able to choose their own names, and while many only modified their names a little from their 'slave' identity, African Americans gradually created their own identity via their names. This continued up until the 1950s and the 1960s, with most African American names following everyday European naming conventions fairly closely. However, things started to change with the rise of the Civil Rights movement, especially thanks to outspoken political activist Malcolm X, who adopted the surname 'X' in order to clearly distance himself from his family's history of slavery. French names became more popular, with Chantal, Monique, Andre and Antoine becoming so common amongst African Americans that they are often thought of as purely 'black names', while other names were created from deliberate misspellings (such as Dawne) to make them specifically unique and remove any historical associations. Another factor which increased this was the Afrocentrism movement of the 1970s, which saw an increase in purely African names like Ashanti, while television dramas like Roots also caused a massive upswing of interest in the history of Slavery and Black culture. This occurred alongside the Black Power political movement in the late 1960s and early 1970s, which set out to specifically inspire African Americans to show pride in their heritage (while also clashing with the more mainstream elements of the Civil Rights movement). For African Americans, accentuating their identity and fighting back against the view of themselves as inferior was an important concept, and while many still stick with traditional European-style names, others fully embrace their past in order to stand out. This is frequently seen in the now common idea in African American culture to invent new names, often following a prefix like 'La-', 'Da-' or 'Re-' with different suffixes like '-ique', '-isha' or '-aun'. This generator uses historical US birth name data grouped by decade, listing the most popular names for each decade of birth, and for each ethnic group in the United States. This means our names are historically and culturally realistic, making them perfect for writers, creators, and gamers who want to generate historical or minority characters accurately.